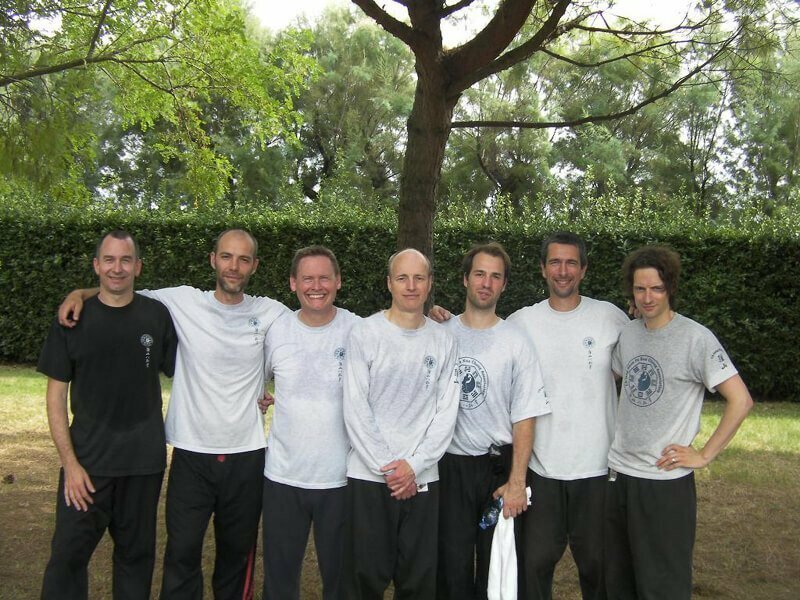 A total of twenty one students from Europe and the U.S.A. met for 4 days of training in Lido, Venice, September 2011. 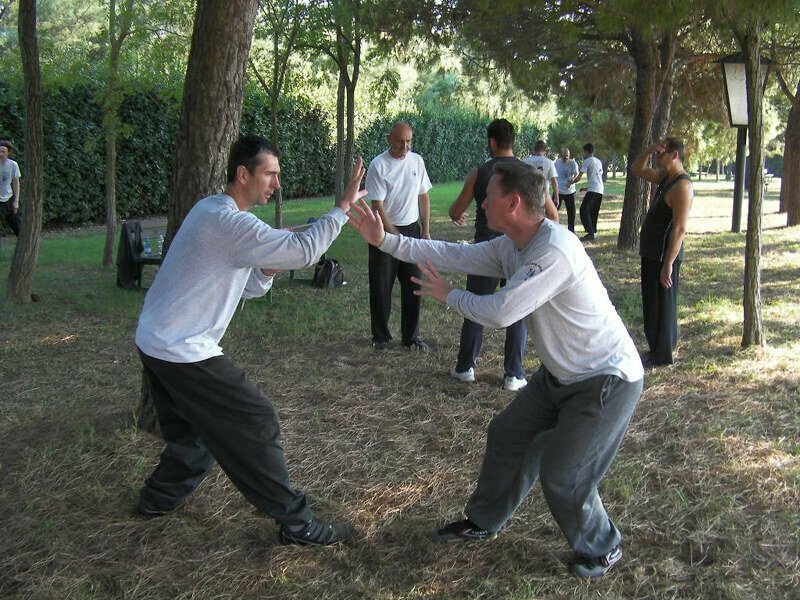 Master Park Bok Nam, a 6th Generation Lineage holder in Pa Kua, took us through 7.5 hrs of training per day, starting with a 2 hr Chi Kung session starting at 7am. 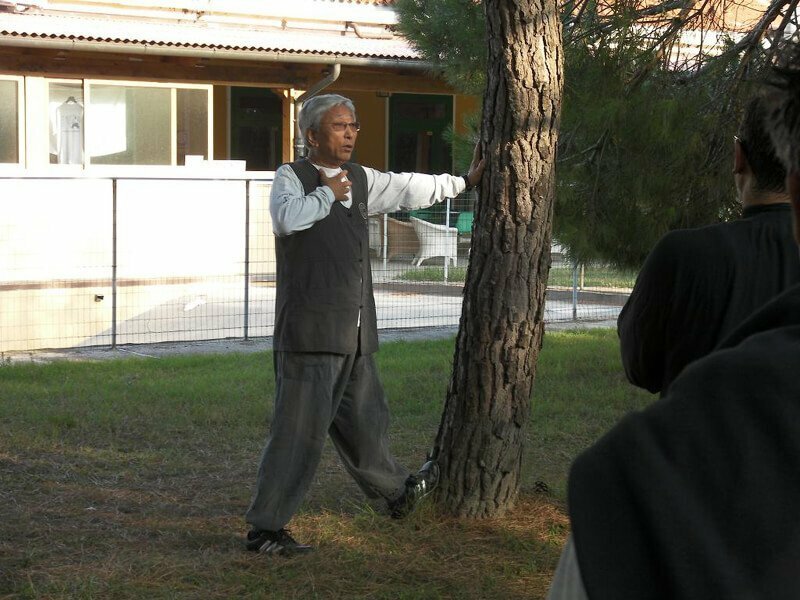 The average temperature was 30 degrees C.
Master Park explaining energy circulation in the early morning Chi Kung session. The UK Pa Kua Group. 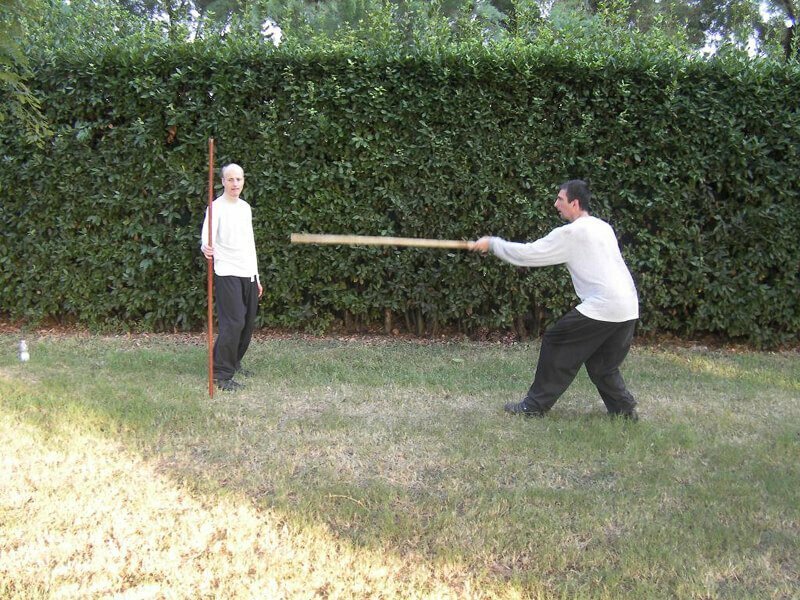 A strong root grows a healthy tree. 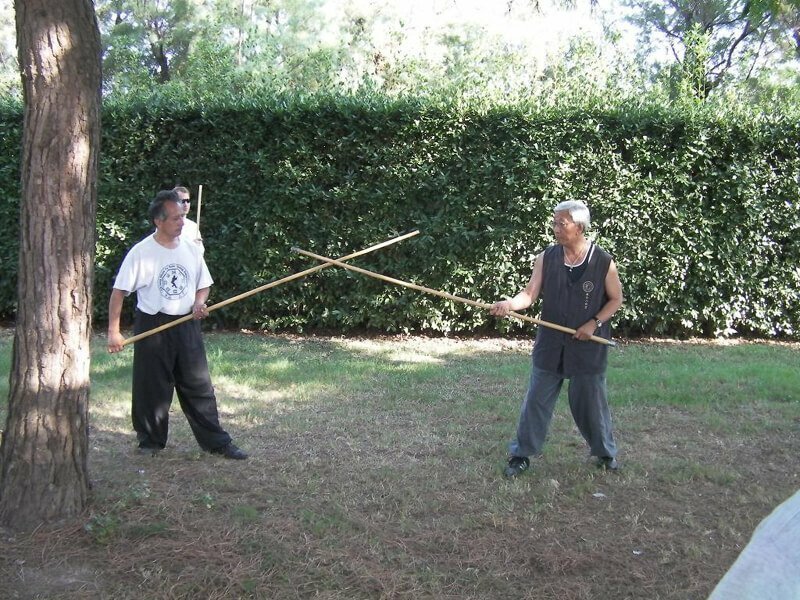 Master Park and Sifu Lopez demonstrating Pa Kua staff defence. 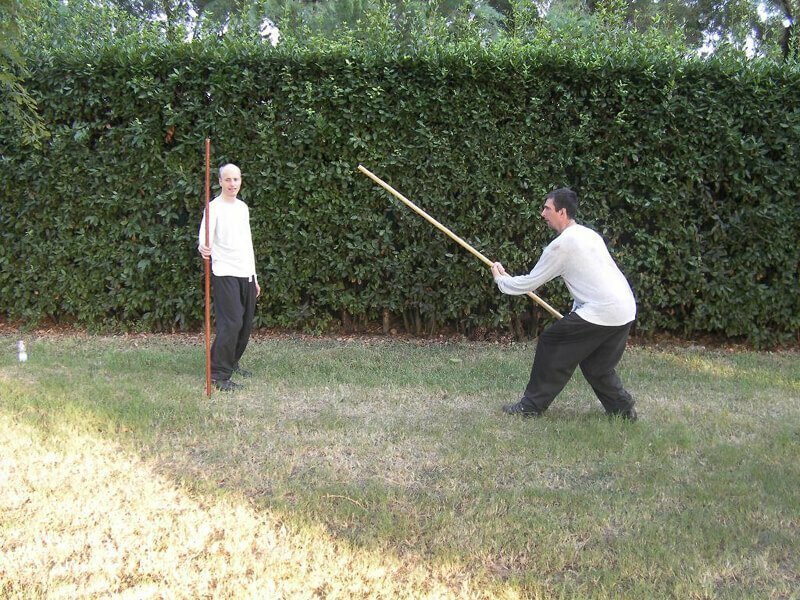 An upright staff is just over an inch across. 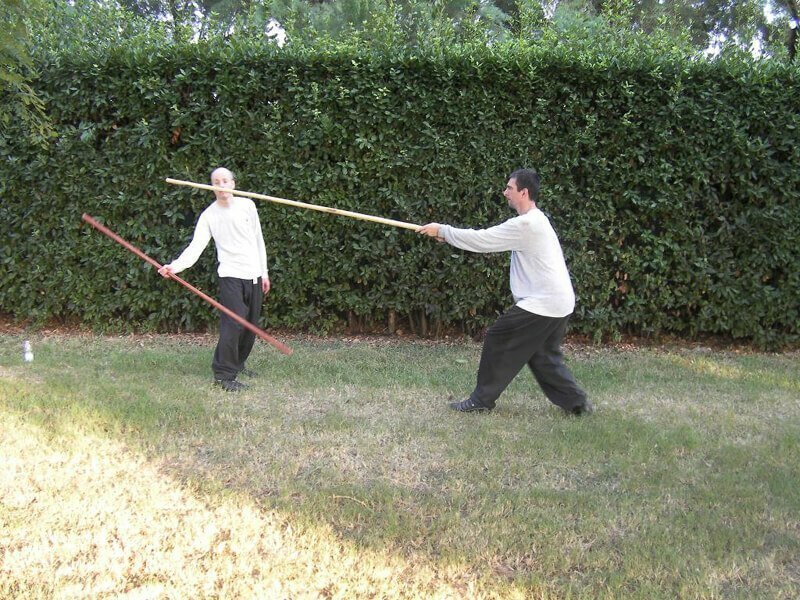 A great deal of accuracy is required to hit this target with a thrusting staff attack.